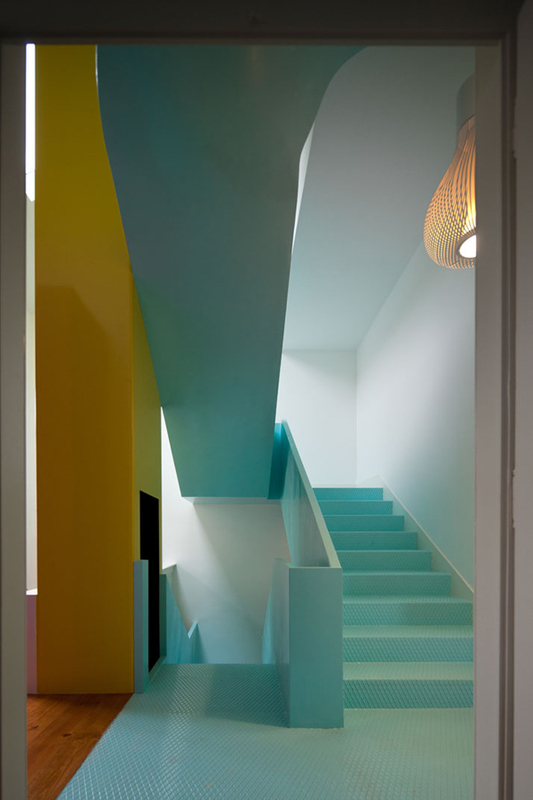 This colorful GMG House by Pedro Gadanho is a 400 square meter 19th century townhouse in Portugal that was transformed into an amazing artsy abode by use of color and architectural tricks. 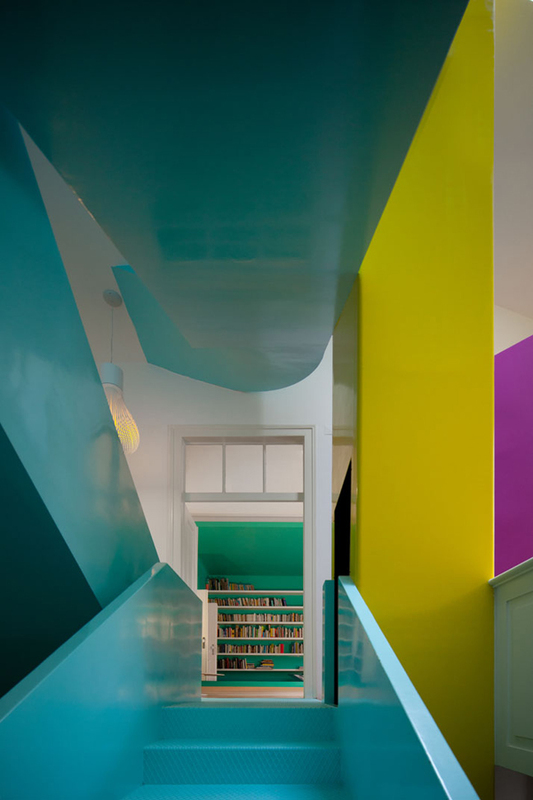 Painted in the color blocks of turquoise, purple, magenta, lime green, pink and yellow GMG house definitely has an eye catchy interior design. 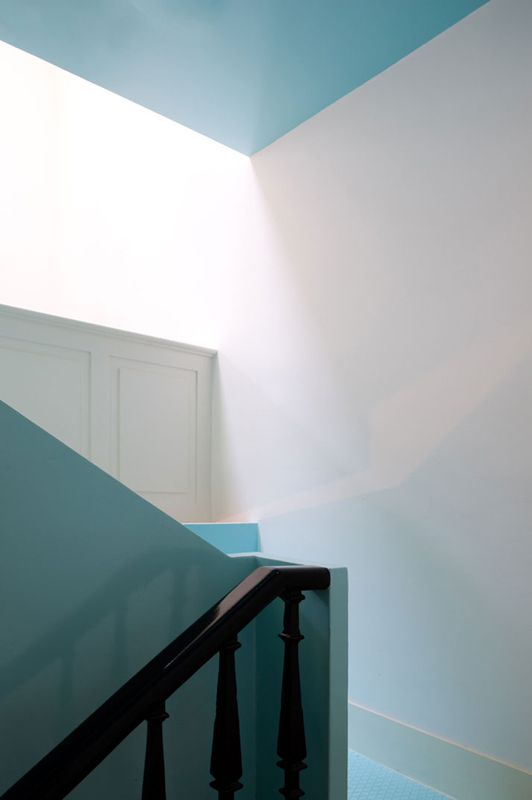 While the main color of the walls and ceilings is white some of the architectural details are painted bright different colors. 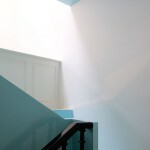 The central staircase that connects various parts of the house is light turquoise. 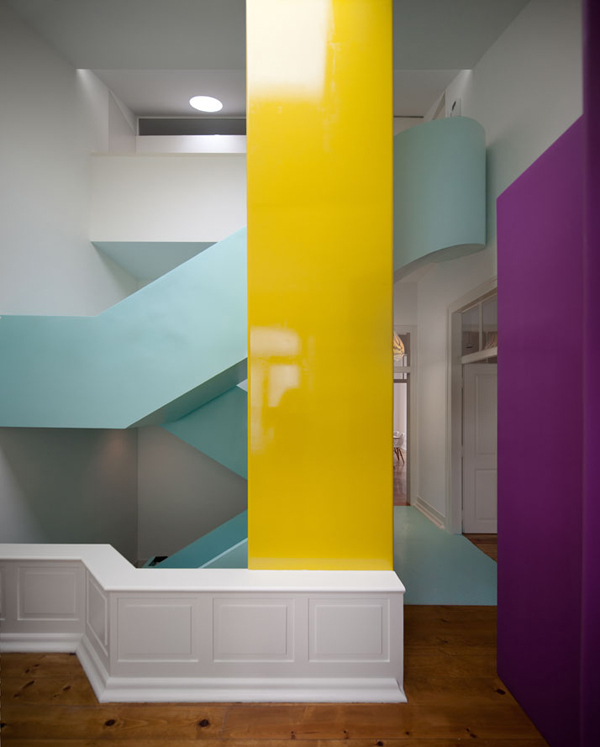 The central square column is bright yellow while other architectural elements are in purple and magenta. 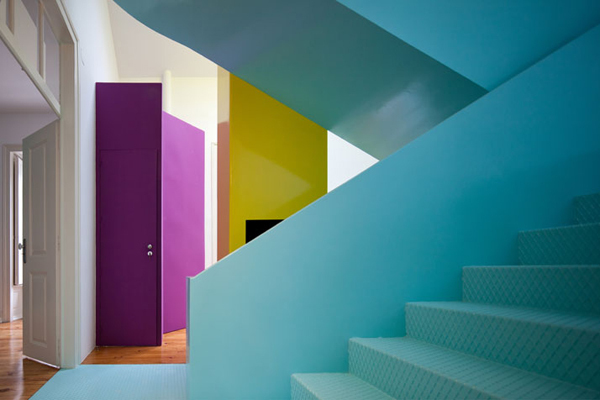 The bathroom is enclosed in a rounded magenta structure while the bedroom is painted white featuring an angular ceiling and a space-dividing wall that also doubles as a nightstand. 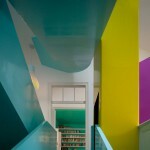 Other parts of the house include a turquoise library that is elevated from the floor resulting in a room within a room feel. While the living and the dining rooms feature white walls and wooden floors with a splash of color from the sofa, the kitchen features pink cabinets and patterned tiled floors. 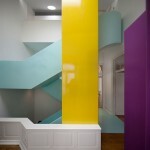 Besides architecture furniture also plays a role in creating unique decor. For instance, there is a polygonal lime green cabinet that contrasts the crispy white walls adding not only a splash of color to the room but also a quirky silhouette. 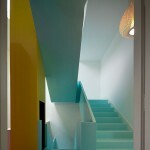 Another interesting detail is a pill-shaped structure in the corner of the hallway painted half white and half red. The house boasts an outdoor terrace that is accessed from the bedroom. The wooden plank flooring adds charm to it while the round-shaped cutouts in the wall and ceiling let more light in. The tearrace also features a royal blue tiled pool and a spiral staircase.